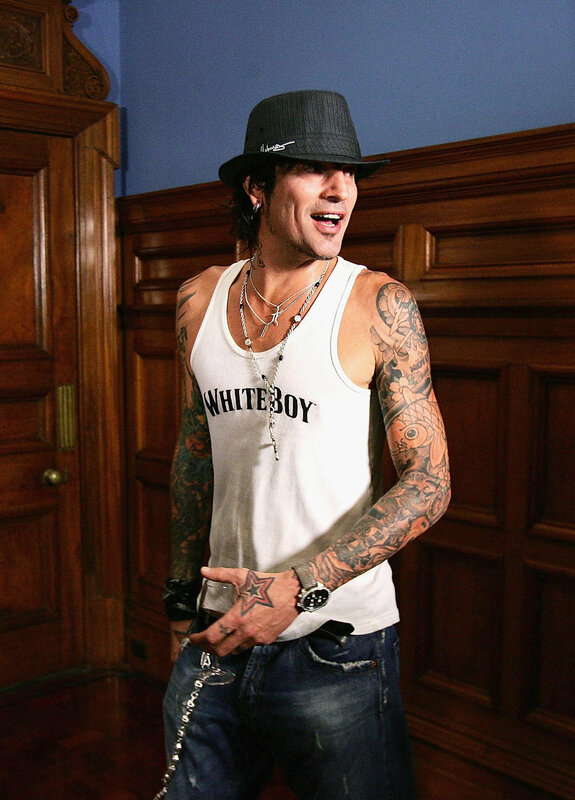 Rocker Tommy Lee - a founding member of Motley Crue has his Calabasas mansion up for sale currently and just reduced it from a price tag of $5.995 million to $4.995 million. The property high in the hills boasts panoramic views from its three stories and from the backyard’s piano-shaped swimming pool. Measuring around 1,000 square meters the house as 6 baths, 5 bedrooms, a wine room, 2 kitchens and a subterranean garage that has been partially converted into a 2,000-square-foot recording studio with two live rooms and a control center. It also has a home cinema, looking a bit dated now (Sorry Tommy) the real estate agents photos don't do it much justice. This carpeted 6 seat cinema features plush leather recliners and an electrostatic front speaker stage. I bet this home theater has seen some crazy nights in!